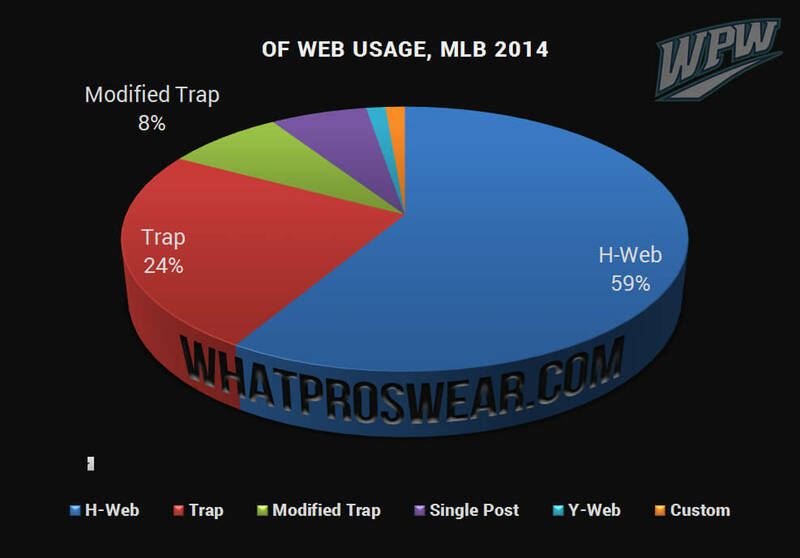 Since 2013, we’ve been collecting data on glove brand and web usage in the MLB. This is the entirety of our research. 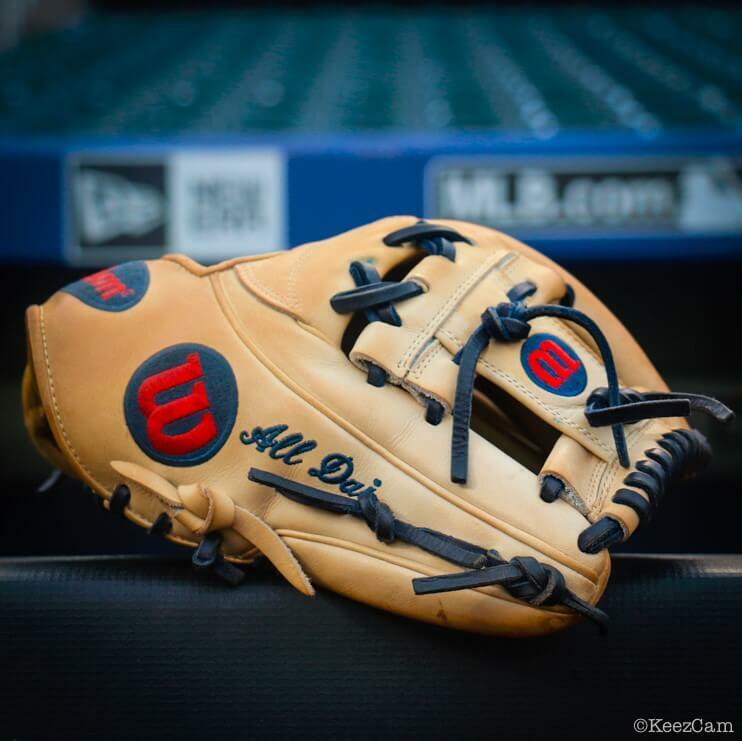 It is our opinion that this is the best possible way to know what the best baseball gloves on the planet are at the moment. You are entitled to disagree with that, but know that you will also be disagreeing with the best baseball players on Earth. In 2013 and 2014, we observed both starters and reserves in April and May of the respective MLB season. In 2015 and 2016, the numbers only include MLB starters. 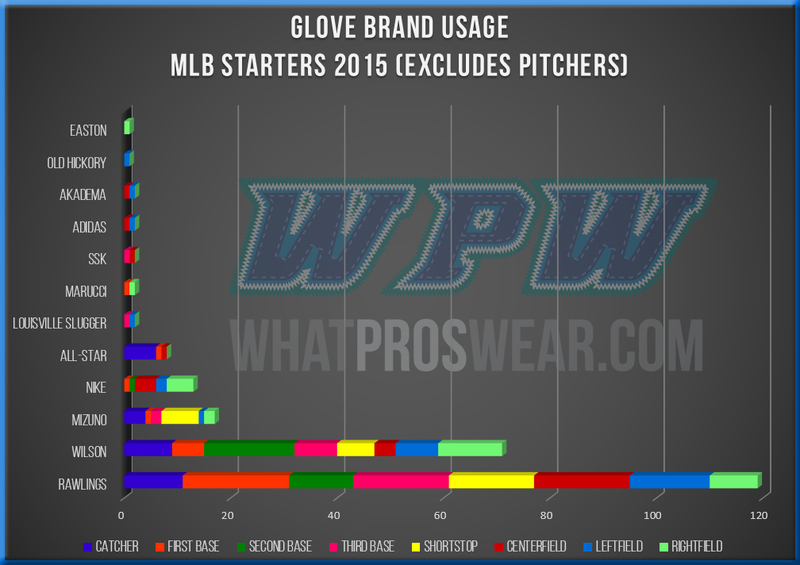 Pitchers have not been included because they are the most likely to “take the money” (get a glove endorsement) from a company who wants TV time. 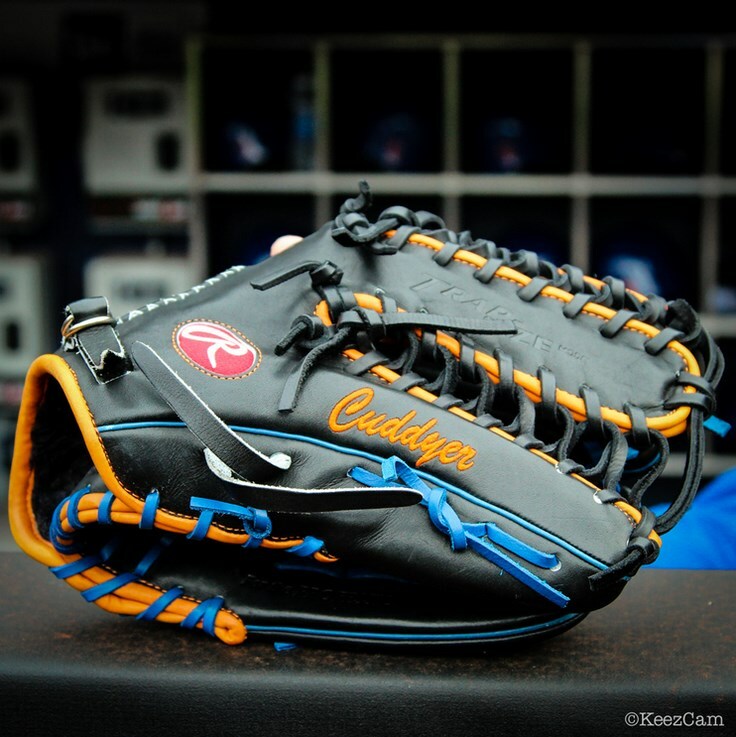 For example, Nike had 60 gloves in MLB play in 2013, and pitchers wore 49 of them. It just skewed the data and wasn’t worth the time, in my opinion, especially considering the amount of turnover you see in MLB bullpens. We think it’s 100% accurate but let us know if you notice a discrepancy. The main takeaway here is that there are really only three brands considered a legitimate option at every position. 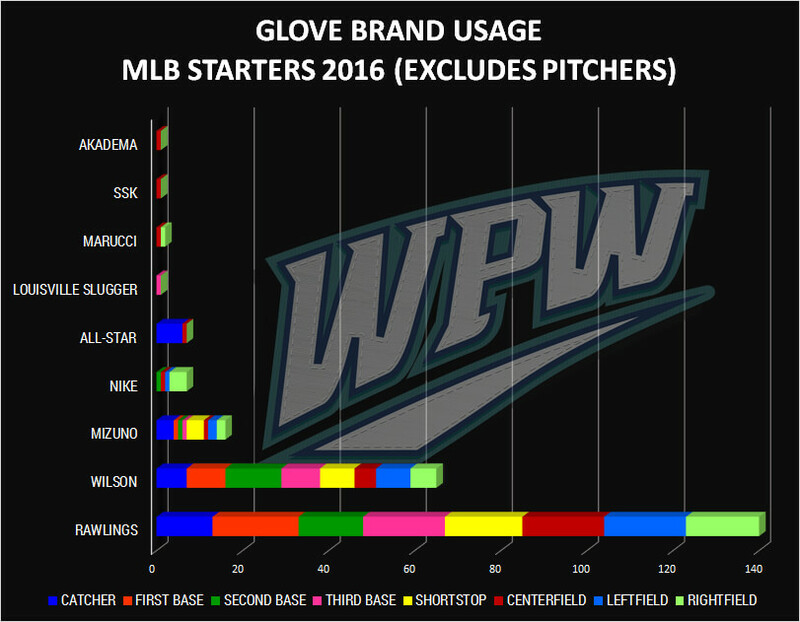 Rawlings (140 total gloves), Wilson (65 total gloves), and Mizuno (16 total gloves) are the big 3 as far as MLB quality all over the field. The number of brands represented went from 12 to 9 from 2015 to 2016. 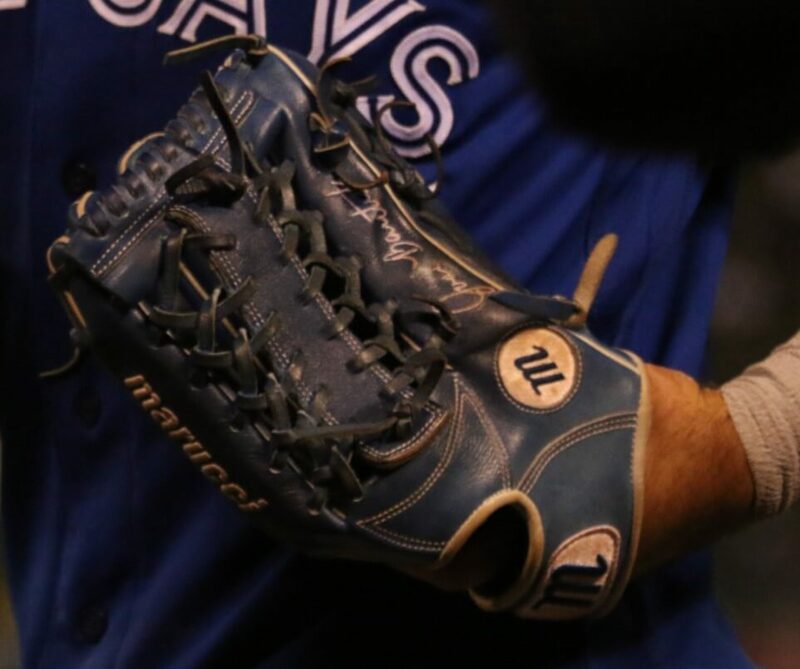 I think the 12 number was an outlier, considering last year Preston Tucker wore an Old Hickory glove, which was the first time we’ve ever seen an Old Hick glove at any level. Easton, who’s parent company recently filed for bankruptcy, also dropped off the list after their only representative, Andre Ethier, broke his leg. 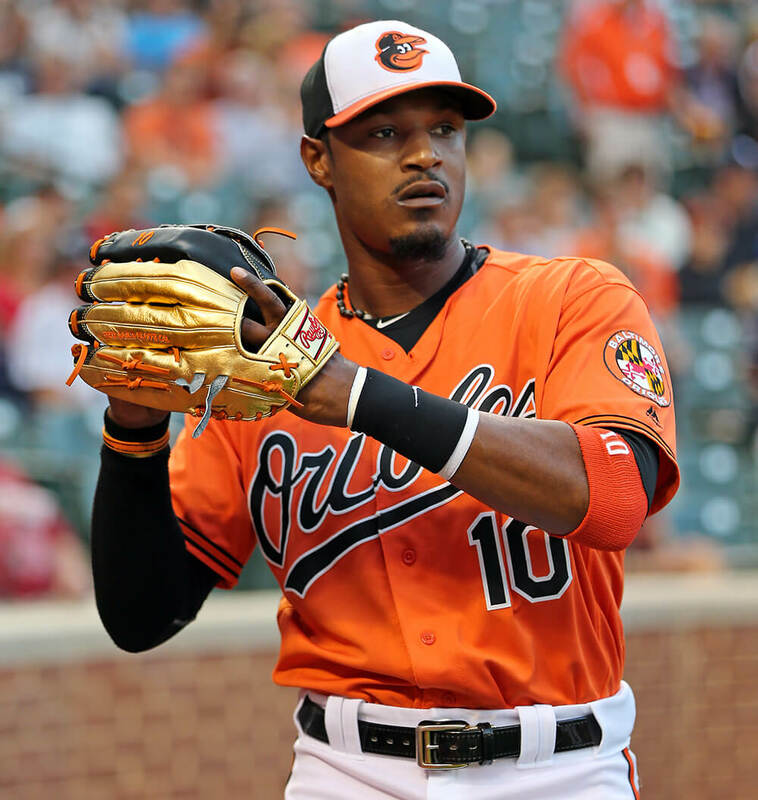 In 2015, Wilson had the edge at 2B (17 to Rawlings’ 12) and RF (12 to Rawlings’ 9), the only positions where a brand other than Rawlings led the league. 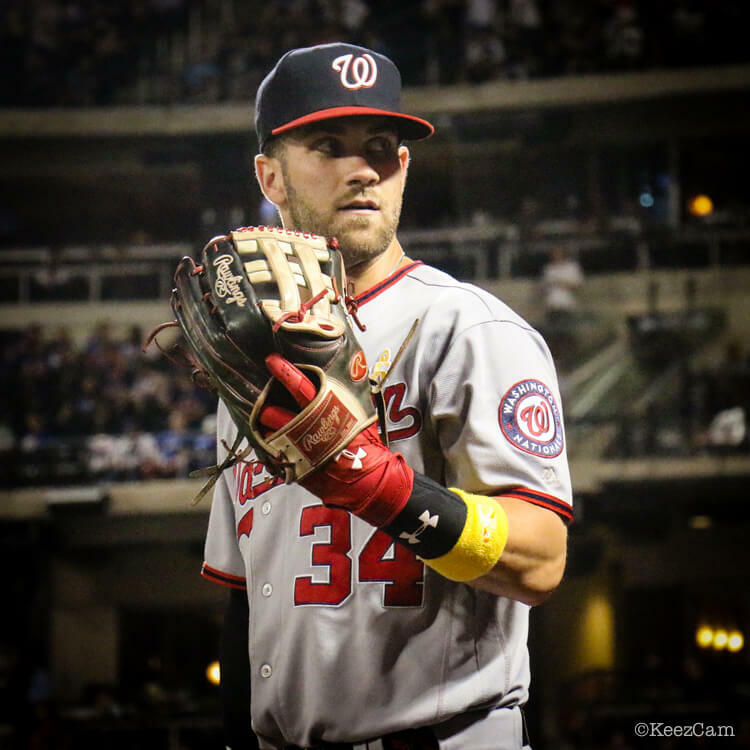 This year, Rawlings slipped past Wilson in the 2B category, 15 to 13. 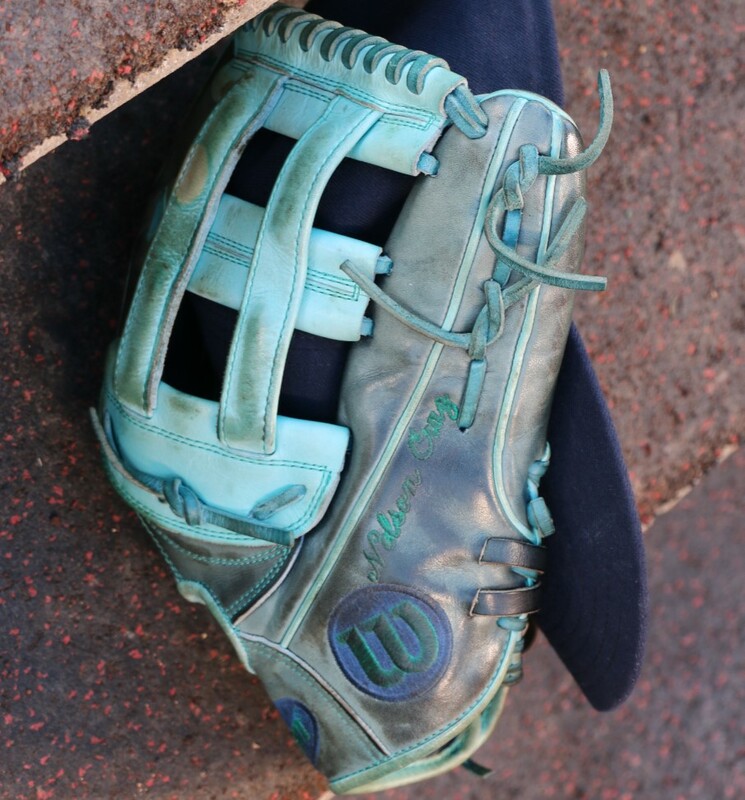 The shift was assisted by Chase Utley, who wore a gorgeous light tan Marucci for a few seasons, but went back to his old Rawlings in 2016. 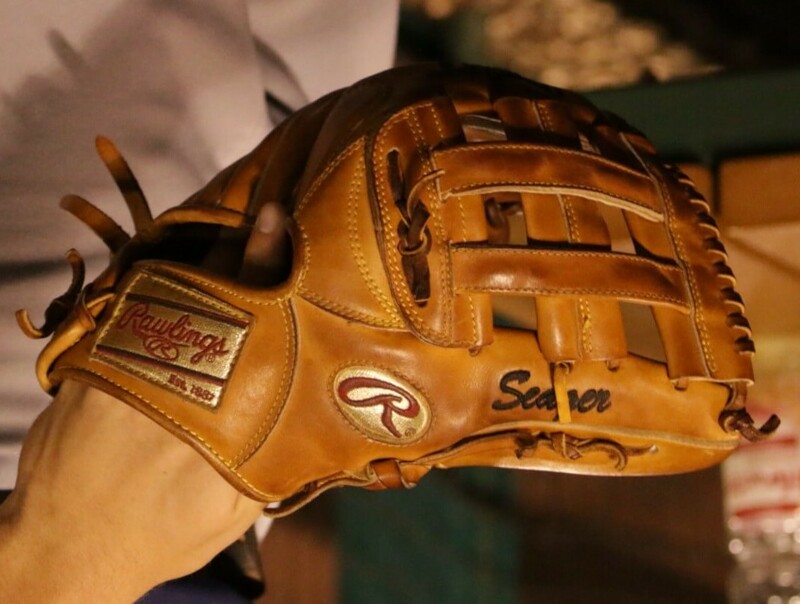 Jean Segura, former SS, moved over to second and simultaneously switched to a Rawlings from Wilson. Newcomers Whit Merrifield of the Royals and Ryan Schimpf of the Padres helped give Rawlings the edge at 2B. In RF, Rawlings took a commanding lead, 17 to Wilson’s 6, after trailing Wilson 12 to 9 in 2015, making it a clean sweep for Rawlings at every position. It should be noted that these are two different player groups—its not as if the same players are switching brands. The drastic change is mostly because of job turn-over in RF, which favored Rawlings in 2016. 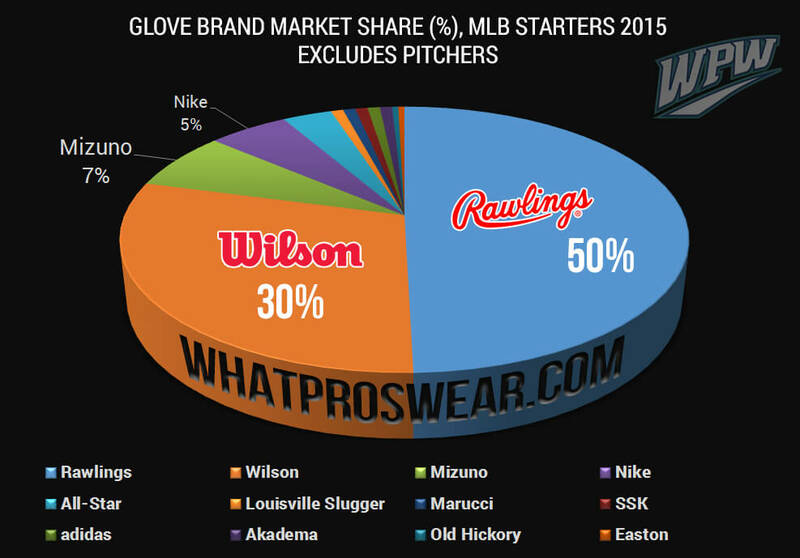 Nike is very clearly minimizing their footprint on the baseball glove market. 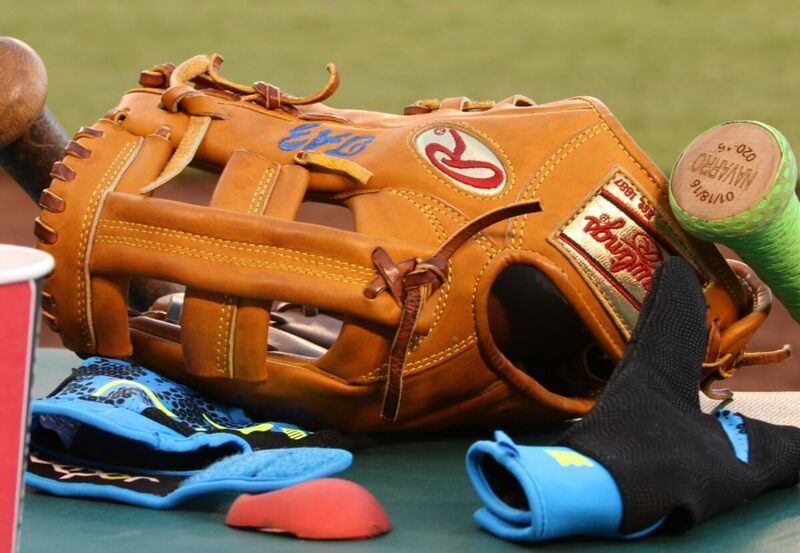 One Nike-sponsored athlete told me at Spring Training last year that Nike had taken back the gloves that were given to him in years past. 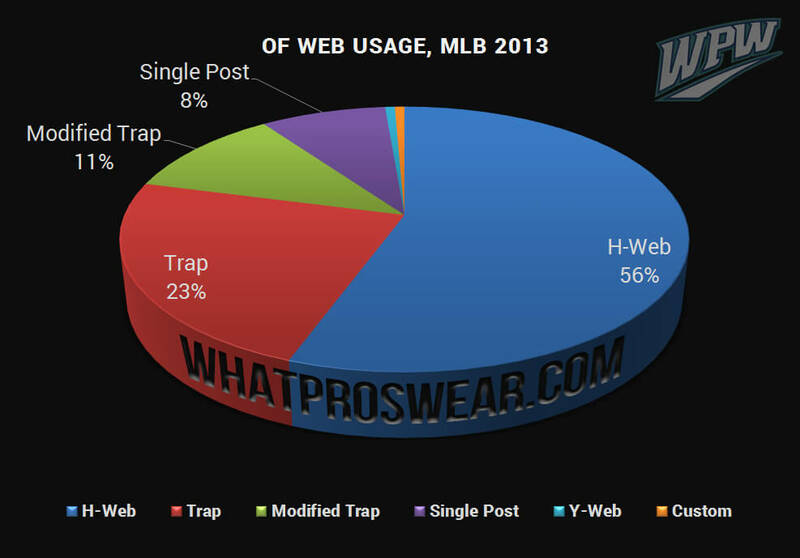 We noticed that, across the league, the few Nike position players remaining were moving into other brands (i.e. Andrew McCutchen to Rawlings, Matt Kemp to Rawlings). 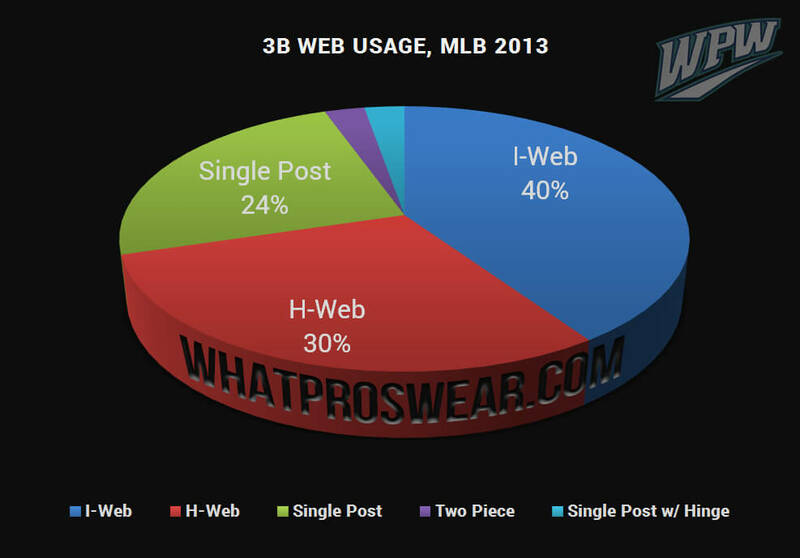 Only Ian Kinsler, Mike Trout, Peter Bourjos (looks like he’s got a Mike Trout hand-me-down), George Springer, Jay Bruce, Carlos Gonzalez, and Matt Holliday (who’s defensive days are behind him) still wear the Almighty Swoosh at positions other than pitcher. 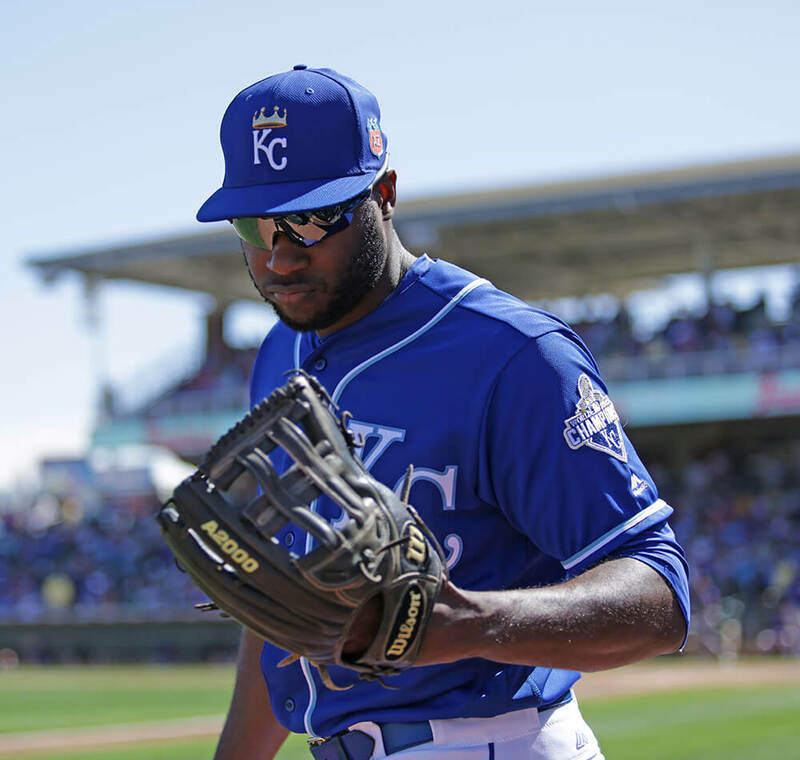 All-Star, the catcher’s specialty brand, held firm with 6 MLB starters in 2015 and 2016. Until 2016, both Wilson and Rawlings were on a steady climb, but in 2016 Rawlings (140 total gloves) picked up 21 gloves from 2015, while Wilson actually lost six gloves, going from 71 total gloves among 2015 MLB starters to 65 in 2016. 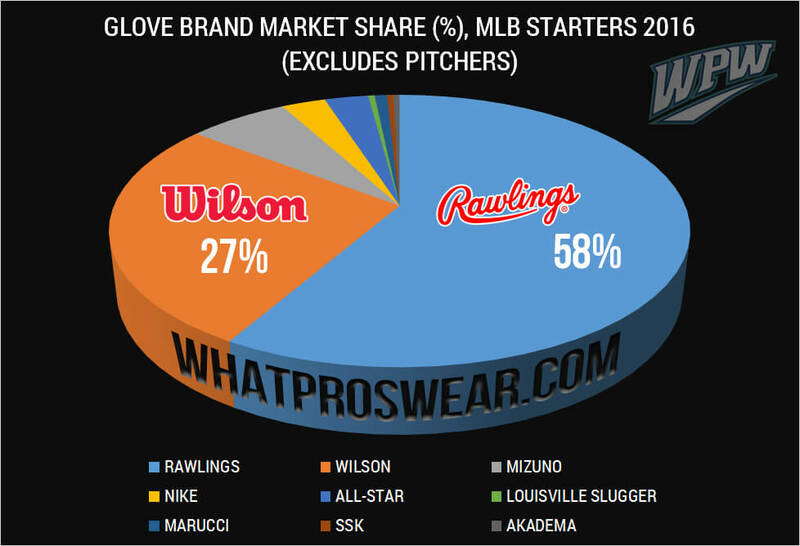 The percentage of MLB that wears either Rawlings or Wilson has increased from 70% in 2013 to 85% in 2016, while Mizuno has remained at 7%-8%. 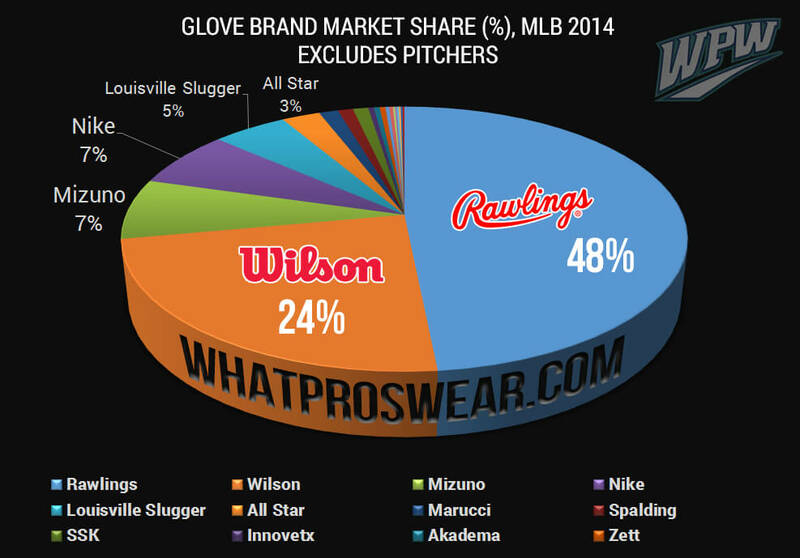 Over that time, Rawlings and Wilson have eaten up whatever scraps left over from Nike and Louisville Slugger. Nike is decidedly uninterested in gloves, which probably explains their drop-off, and now that Louisville Slugger is owned by Wilson, a much stronger brand in the glove game, there is no reason for Slugger gloves to exist—so you likely won’t see any more guys wearing a Louisville Slugger besides Ben Revere and Travis Shaw (now with Milwaukee). 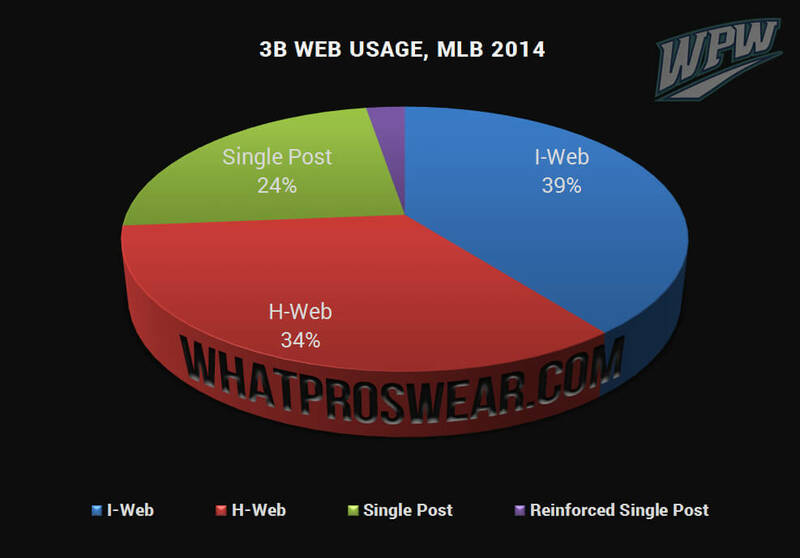 Here’s our data on web popularity for middle infield, third base, and outfield in the years 2013, 2014, and 2016. We didn’t do 2015 (yet). 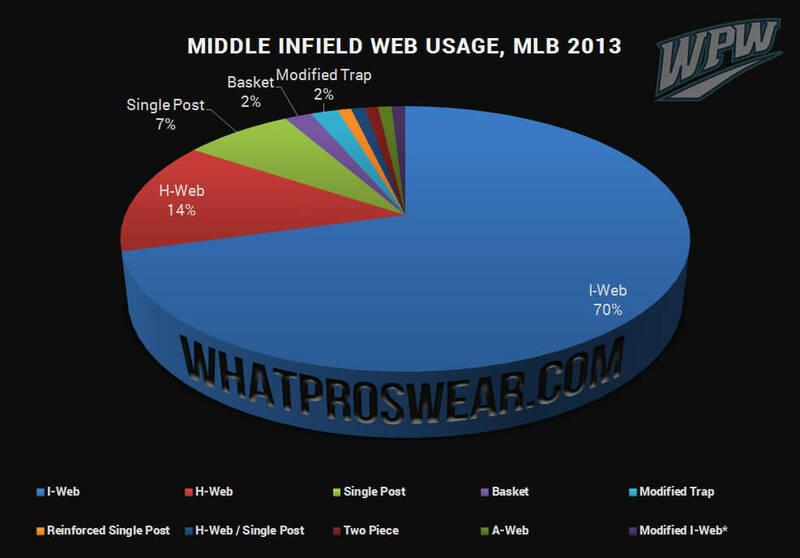 To the infielders, what web do you prefer? 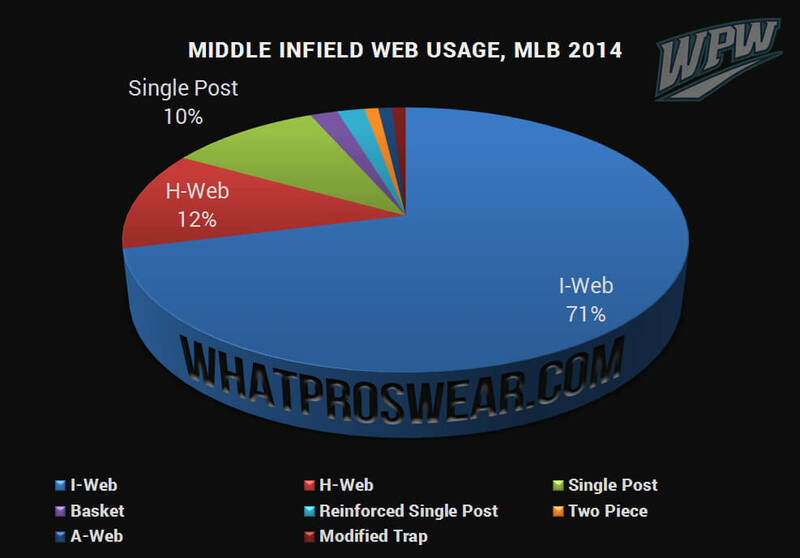 Outfielders, which web do you prefer? 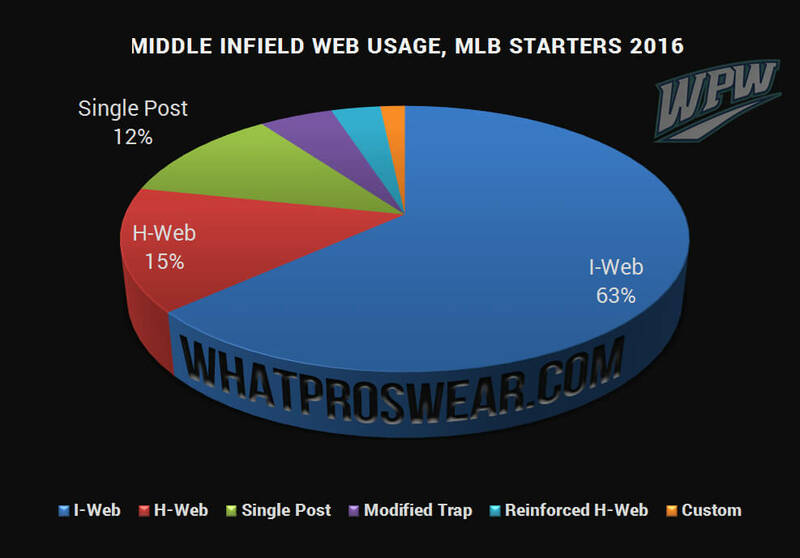 The data shows that the I-Web in the infield and the H-Web in the outfield are the top MLB choices, and there’s no signs of either fading in the near future. 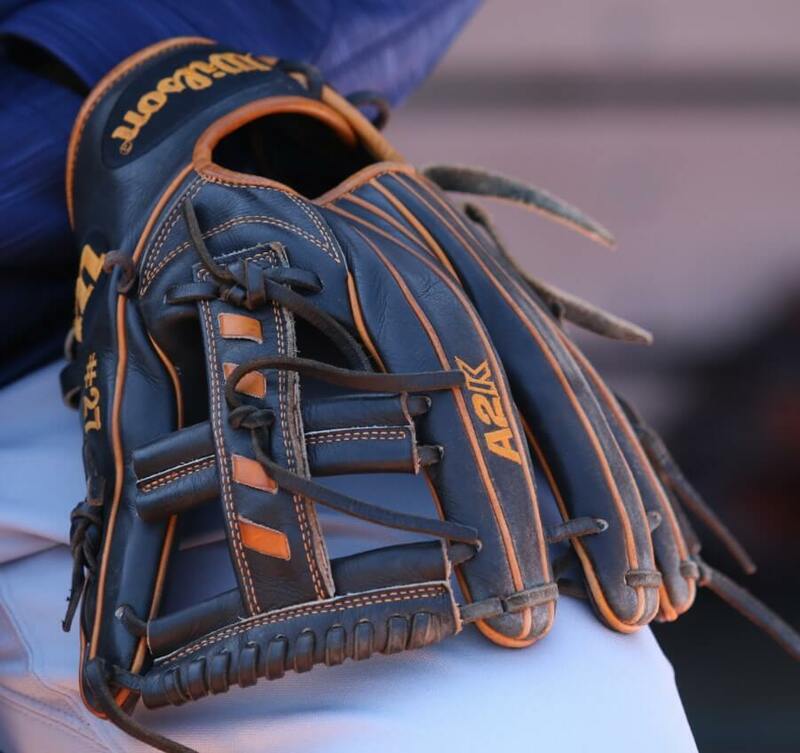 The single post seems to have dual utility in the infield and outfield, so if you’re looking for a glove that can do both, maybe that’s the choice. For those 1B who didn’t see their chart, the overwhelming favorite at 1B is the Single Post, with 22 starters. 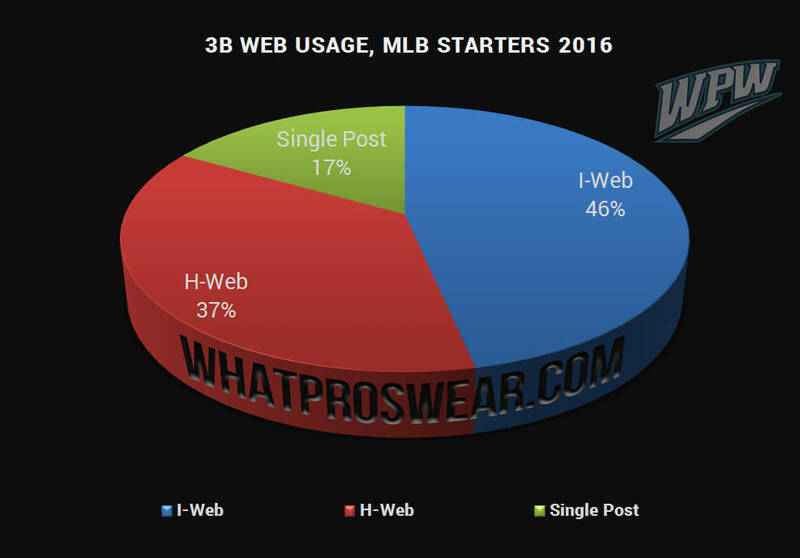 The H-Web has 7 MLB starters, and one guy, Anthony Rizzo, wears the Horizontal Bar web at 1B. 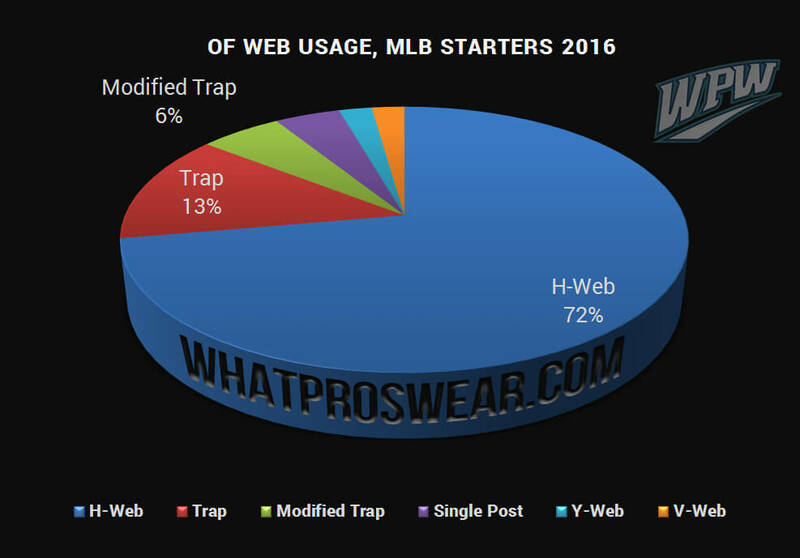 Catchers weren’t shown because catcher webs are pretty much the same.